للمسافرين الذين يرغبون أن يعيشوا كل ما تقدمه المدينة، YHA Wellington هو الخيار الأمثل. يمكن من هنا للضيوف الاستمتاع بسهولة الوصول إلى كل ما تقدمه هذه المدينة النابضة بالحياة. سوف يعشق النزلاء موقع هذا الفندق، فهو قريب من أهم المعالم السياحية في المدينة . يعرف YHA Australia Hostels بالمستوى الراقي لخدماته ولباقة موظفيه، وهذا ما ستجده في YHA Wellington. يمكن للنزلاء الاستمتاع بالميزات التالية: مرافق مخصصة لذوي الاحتياجات الخاصة, تسجيل وصول/خروج سريع, تخزين الأمتعة, واي فاي في المناطق العامة, جولات أثناء إقامتهم في هذا المكان الرائع. استمتع بوسائل الراحة الراقية في الغرف أثناء إقامتك هنا. بعض الغرف تتضمن اتصال لاسلكي بالإنترنت, غرف لغير المدخنين, تدفئة, مكتب, ساعة منبه لمساعدتك على استعادة طاقتك بعد يوم طويل. يقدم الفندق مجموعة واسعة من وسائل الراحة المتنوعة، كمثل: غرفة ألعاب. إن YHA Wellington هو خيارك لخدمة الفنادق الراقية في المدينة. This hostel is located right in the heart of Wellington. It gives it a great urban feel, and is centrally located near all the attractions and, for ease of access, many stores. The facility offers many amenities such as a café, kitchen, all the areas that you would expect from a hostel. It was also very clean and tidy. I stayed in a private room, as that was all they had from booking last minute, but even the private room was very comfy and cozy. The staff was very friendly and was kind to note the features as this was my first time staying with them. Overall, it was worth the value. If I was staying a longer stay in Wellington, I would’ve definitely booked a traditional shared room (I love meeting new people). Pleasant stay, easily the best YHA we've stayed at in NZ. Beds were comfortable. The 4 bed dorm had an ensuite, which was clean and well presented. It was lively environment with lots of fellow travellers. Highly recommended. The location is a little far from Wellington Central. It takes about 20-30 minutes by walk, but the facility is great and the staff is friendly. their night staff supervisor is very rude and dirty minded they want to have the customers food such as left customers or not labeled food , put some people's food wrongly into the free food section by purpose , try to creat problem between the guests, misunderstandings, if guest lost food comes to reception, they will say the not clearly labeled food was taken by the other guest,and people saw only one side and believed them, actually they want to take and keep the food for themselves like chocolate and ice cream, if the guests don't come to see them in the reception they have good reason to enjoy it, their was one big fridge which you can see it is only staffs food , so guest have no place to food anymore, they collected so many food , more than half of the fridge is their food! Its not a high class place but great value for money and well worth it. I managed to get myself locked out as I didn't arrive until 4AM and they don't have a 24hr reception. Thankfully some nice person let me in and I found my bed for the night! Morel of the story - make sure you call if your going to be there at a strange time as they have a key pad entry door. Been here 4 days. Great central location. Nice staff. Good kitchen and overall facilities. Awesome grocery store is just across the street. Walking the waterfront in the evening is spectacular. Met super nice people here from all over the world. slight hiccups with the booking changes as a result of incorrect messages provided by YHA staff in Auckland, and the staff in Wellington was very helpful to sort things out without charging me extra. Didn't like the split kitchen setup though, prefer the large centralized one in Auckland better. Lost some of my food/groceries as they were "mistakenly" taken by others from the fridge... enjoy the free and guided city tour and Mt Vic hike too! I booked a single room and it was a comfort stay at this place. Everything was good but if something really want to improve, probably will be the sound proof... there was a groups of youngsters stay at same floor which a bit noisy till 12 a.m. and early morning 6 a.m. their leader knock their doors very loudly for morning call... and he wake me up. Great stay, friendly staff, clean hostel, highly environmentally friendly. Free use of hairdryer and straighteners. Quiet hostel so got a good sleep, beds were comfortable and didn't squeak!! Bad points were there were not enough power points in the room (only 2 and they were in the cupboard) also the shower temperature was very temperamental. Great location, New world (supermarket) is just opposite YHA. Clean, comfort room as well as friendly and energetic staff. About 5-7 mins walking distance to bus station. Will definitely stay here again for my next visit. Great location close the museums, shops and restaurants of Wellington (as well as the beach). Supermarket right over the road. The facilities in the private rooms were really good - a kettle with good quality coffee which is unusual for a YHA. The only downside during our stay was a group of 100 school children who were running up and down the corridors all evening! The hostel is in a fantastic location, rooms and bathrooms are clean, security is good. I enjoyed my stay at the YHA. I was surprised at the cleanliness of the rooms and bathrooms. Facilities were great - well stocked self-contained kitchens, wifi which worked well even on the 6th floor, appliances supplied in the bathroom, towel hire only $1, and staff were friendly. The location was excellent - 2 supermarkets within 50m, an abundance of restaurants, cinemas, shopping options within walking distance, as well as museum, art gallery and other attractions nearby. It is in the city centre,and one big supermarket just opposite the street and very convenient to buy something. there are a lot of restaurants around and the taste is good. The reception can help to book the shuttle bus to the ferry terminal. The hostel is clean and bed is comfortable. I was there for three nights on my own. It was basically clean and comfortable and I would not expect more from the kind of money I paid for my lodging. The place is situated right in front of New World Supermarket, near to Te Papa Museum and Harbour Front. I could always walk to the city any time I wanted. There is also a bus station that connects to the airport right at the back of the building. I could get my daily supply of coffee and bagel at the reception in the morning for breakfast so everything was fine. The price of this YHA Wellington is reasonable for travelers. It is in the centre of the city. Location is near to museum and seashore. YHA Wellinton is a reasonable price hotel. The location is in the centre of the city. We can easily reach the famous Te Pa Pa museum. There is a New World supermarket just opposite to the hotel. Not far away is the seashore, we spent almost whole day walking along the seashore where lots of restaurants and shopping places. The room and facilities were clean. Our room was on the 6 floor. 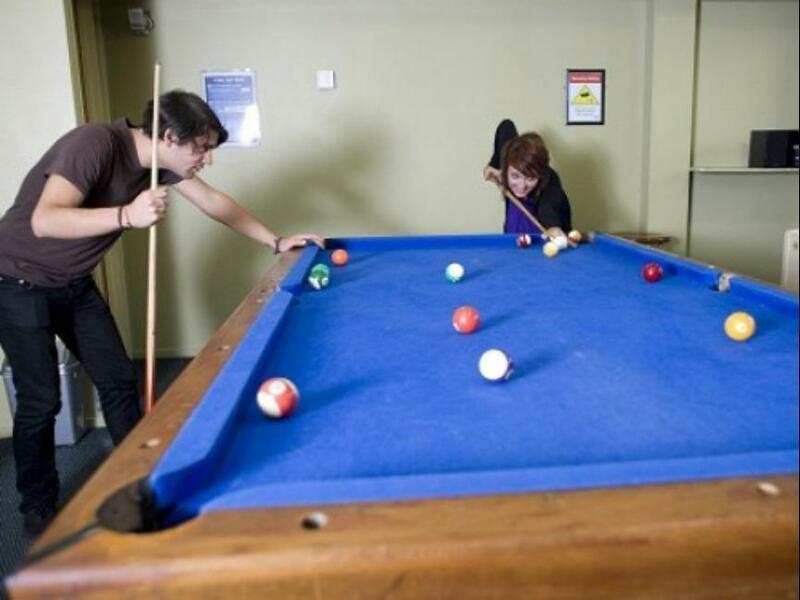 The backpackers hostel is centrally located in the city. Close by to the museum and many other attractions. Airport bus shutter stops right behind the hostel, as well as other buses. We did experience some issues with the heater though. Other than than it was a lovely stay.